Actually, the "hum" comes from the speedy beating of their wings as they flit from flower to flower. Exactly how fast do they beat their wings? Anywhere between 22 and 79 wing-beats per second, making their movement a blur. These tiny birds spend most of their day feeding on the sweet nectar from flowers and tiny insects. 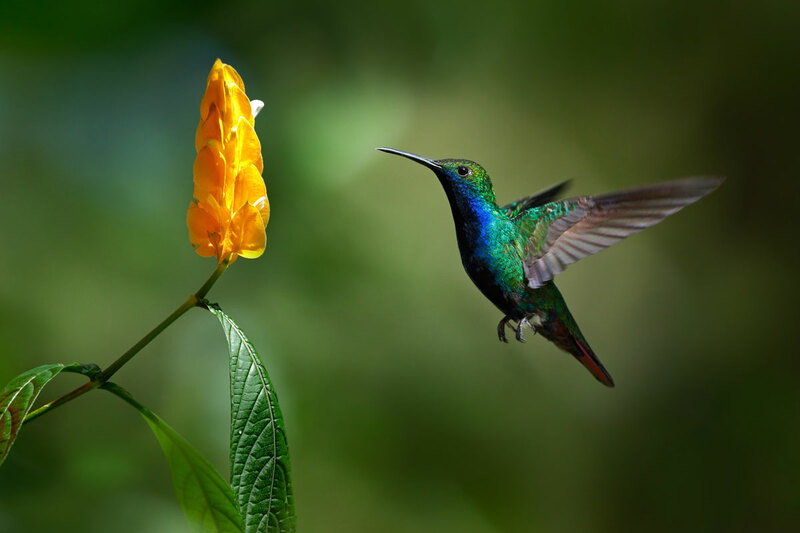 With their straw-like beaks, they reach deep into the flower and extract the nectar. Several species that spend the summer in Montana, including the broad-tailed, the ruby-throated, and the Rufus. These little birds are frequent visitors to special backyard hummingbird feeders from early May to mid-September.